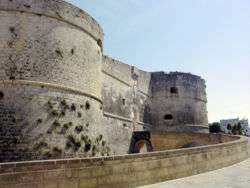 The siege of Otranto -with the martyrdom of the inhabitants- was the last significant military attempt by a Muslim force to conquer southern Italy. The slaughter was remembered by Risorgimento historians (like Arnaldi and Scirocco) as a milestone in European history, because as a consequence of this sacrifice the Italian peninsula was never conquered by Muslim troops. A canonical process began in 1539. 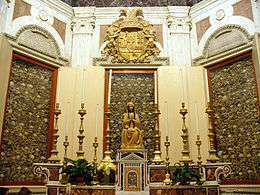 On 14 December 1771 Pope Clement XIV beatified the 800 killed on the Colle della Minerva and authorised their cult - since then they have been the protectors of Otranto. Some modern historians, such as Nancy Bisaha and Francesco Tateo have questioned details of the traditional account. Tateo notes that the earliest contemporary sources describe execution of up to one thousand soldiers or citizens, as well as the local bishop, but they do not mention conversion as a condition for clemency. Bisaha argues that more of Oranto's inhabitants were likely to have been sold into slavery than slaughtered. However, other historians, such as Paolo Ricciardi and Salvatore Panareo, have argued that in the first year after the martyrdom there were no information about the massacres in the contemporaneous Christian world and only later — when Otranto was reconquered by the Neapolitans — it was possible to get details of the massacre from the local survivors who saw it. 1 2 3 4 5 6 7 Ted Byfield (2010). 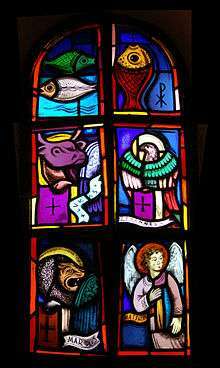 Christians - Their First Two Thousand Years, Renaissance: God in Man, A.D. 1300 to 1500. Edmonton, Alberta: McCallum Printing Group Inc.
↑ Peter G. Bietenholz, Thomas Brian Deutscher (1985). Contemporaries of Erasmus: A Biographical Register of the Renaissance and Reformation. 1–3. Toronto, Canada: University of Toronto Press. ↑ Tom Kington (May 12, 2013). "Pope Francis proclaims 800 Italian saints". The Telegraph. 1 2 3 Nancy Bisaha (2004). Creating East And West: Renaissance Humanists And the Ottoman Turks. Philadelphia: University of Pennsylvania Press. p. 158. Recently, though, historians have begun to question the veracity of these tales of mass slaughter and martyrdom. Francesco Tateo argues that the earliest contemporary sources do not support the story of the eight hundred martyrs; such tales of religious persecution and conscious self-sacrifice for the Christian faith appeared only two or more decades following the siege. The earliest and most reliable sources describe the execution of eight hundred to one thousand soldiers or citizens and the local bishop, but none mention a conversion as a condition of clemency. Even more telling, neither a contemporary Turkish chronicle nor Italian diplomatic reports mention martyrdom. One would imagine that if such a report were circulating, humanists and preachers would have seized on it. It seems likely that more inhabitants of Otranto were taken out of Italy and sold into slavery than were slaughtered.